Agudath Achim Cemetery – Herman Meyer and Son, Inc.
Below is a map of several Jewish Cemeteries. 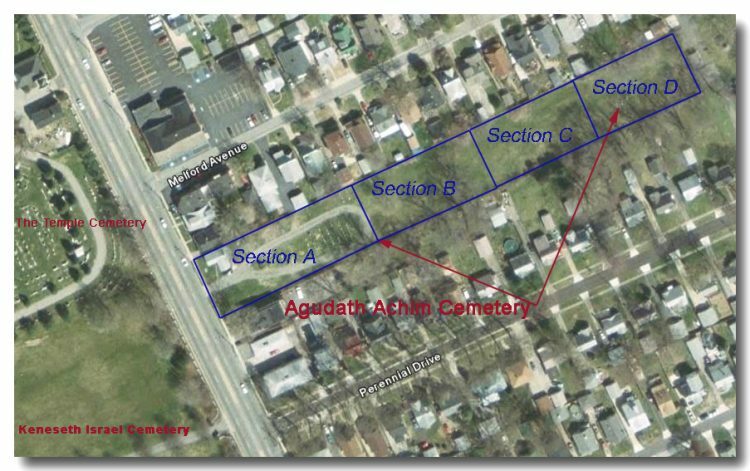 The Agudath Achim Cemetery is located across the street from Keneseth Israel Cemetery. Use the links below the map and click a section and you will be directed to a list of people buried in the cemetery, the grave location and a photo of the headstone.